Fr. Joseph Donceel’s account of ontogeny might be read as presenting an organism which, without changing genetically, undergoes a series of holistic alterations which can best be described as “emergent shifts,” Such shifts are said to occur (by evolutionary theorists) when life, for example, “emerges” in matter previously non-living, or when sensation “emerges” in living matter previously non-sentient, or when consciousness “emerges” in animals previously non-conscious. Teilhard, indeed, seems to extend this series indefinitely, lumping such phenomena as thought, value, history, community, and even the contemporary Zeitgeist into the general category of emergent qualities. Donceel, without going so far, posits two emergent shifts (vegetative life to sentient, sentient life to conscious) within human embryonic development — and in each case he equates the emergence of the higher-level characteristics with the arrival of a new substantial form or “soul” (TS. pp. 82-3). Thus he can say that each successive stage is higher ontologically (not just functionally) than the one preceding it, but no higher than is necessary to explain just those characteristics which are at that time observable within the embryo. I shall attempt to show that Donceel’s implicit correlation of emergentist with Thomistic vocabulary — if I understand him correctly — is untenable. My argument is dependent on two articles generally considered decisive in this field: Stephen C. Pepper, “Emergence,” (Journal of Philosophy, XXIII, 1926, pp. 241-245), and P.E. Meehl and Wilfrid Sellars, “The Concept of Emergence,” (in Minnesota Studies in the Philosophy of Science, vol. 1, 1956, pp, 239-252), Emergentist theory holds (1) “that there are levels of existence defined in terms of degrees of integration” (or complexity, e.g., mineral, plant, man); (2) “that there are marks which distinguish these levels one from another over and above the degrees of integration” (such as signs of life, sensation, etc. ); (3) “that it is impossible to deduce the marks of a higher level from those of a lower level, and perhaps also (though this is not clear) impossible to deduce the marks of a lower level from those of a higher” (Pepper, p.241). Given these presuppositions, a shift from one level to another, that is, an “emergent shift, “will be a “cumulative change, a change in which certain characteristics supervene upon other characteristics, “these latter being on their level the necessary and sufficient condition for the change (ibid). Emergentism, then, is a response to mechanistic and reductionist theories, which grant that there are greater and lesser degrees of integration within physical reality but deny that there is any scientifically significant difference between these levels save the degree of integration itself. Necessarily, then, reductionists will also claim that the characteristics peculiar to the higher level (sensation, consciousness, etc.) are “epiphenomenal,” meaning that these higher characteristics supervene in a change which can be explained without reference to them. Life and consciousness, then, would be like foam, floating atop a chemical sea indifferent to their existence. Emergentism holds, on the contrary, that the change in which supervening characteristics emerge cannot be explained through reference to the lower-level characteristics alone. P0 is a sufficient condition of P1. P1 is a sufficient condition of P2. P1 is the necessary and sufficient condition of H. Now: H will be an epiphenomenon if it makes no difference between the situations in which it is present and those in which it is not (reductionism being then an adequate theory), H will not be an epiphenomenon if it does make such a difference (and emergentism or some other non-reductionist theory will be correct). But what can the difference be? Obviously, the difference cannot be merely H itself nor another characteristic which is present when H is present and absent when H is absent. For, if H is epiphenomenal, this other characteristic can be epiphenomenal also. “There remains only the possibility that H-situations are governed by different laws than non-H situations” in the sense that “the lower-level characteristics [P1 etc.] themselves exhibit a different lawfulness in H-situations” (Meehl and Sellars, p.242). In other words, emergent characteristics are not epiphenomenal if, and only if, there are emergent laws. To continue with our example from neurophysiology, on the showing of Meehl and Sellars, the H-situation will differ from the non-H situation as being a different region of the logical space defined by all the possible reactions of the electro-chemical complexes which occur both in living brains and outside of them. These include complex hydrocarbons, potassium ions, free iron, and electromagnetic fields. Let us call these complexes q, r, s, and t. The emergentist says: “There is a region within the fourspace qrst within which f1(q, r, s, t) = 0 holds. This region is the lower level of integration — e.g., physico-chemical processes which are not occurring in [living brains]. On the other hand, there is another region — [living brains] — in which f2 (q, r, s, t) = 0 holds, f1 ≠ f2” (Meehl and Sellars, p.246). For example, the flow of electrons at the synaptic interface (in living brains) breaks the laws which obtain everywhere else. Or, we can let q, r, s, and t stand for the bio-chemicals which are present both in living protoplasm and in non-living matter. In that case, again f1(q,r,s,t) will graduate the empirical data on the lower level of integration (non-living) but break down when extrapolated to the living “region”, where f2 (q, r, s, t) holds. In both cases, please note, we are dealing with functions of the lower- level variables. Now, if the emergent quality itself (H) is lawfully related to the lower-level variables (in the sense in which modern science speaks of “lawfulness”, that is, if determinism holds), then it follows that descriptive laws predicting the course of the lower-level variables can always (theoretically) be formulated in terms of them alone (Meehl and Sellars, p. 247). In other words, it should be possible to rewrite H as, for example, g(q,r). Then, the function which adequately describes the interrelationships in all regions of qrst — call it E(q,r,s,t,H) — can be rewritten as E[q, r, s, t, g (q, r)] or as f3 (q, r, s, t). Central, perhaps, to the scientific incoherence of Teilhard de Chardin is his desire to have the systematic conveniences of determinism without paying the philosophical price. Thus he seems to want to formulate an all-embracing f3 but does not clearly grant that H can be rewritten as a function of the lower- level variables. Instead he seeks to avoid determinism by smuggling H (under cover of “granular consciousness” or “radial energy” or some such) into the non-emergent region. But in that case, the regions break down; one is left with saying that f1 and f2, though different, both adequately describe the same space — which is contradictory. We should now be in a position to evaluate the appeal which Donceel seems to be making to emergentist theory (without using the word). Whether or not Donceel is prepared to say that the substantial forms themselves are emergents, it should be clear that the regions within the fourspace qrst will correspond to different substantial forms, or at least to different classes (genera) of substantial forms (mineral/vegetative/animal) — but not in the sense that such regions are substantial forms. (In that case, the peculiar electro-magnetism found in living brains would be the rational soul!) Rather, the substantial forms correlate with these regions only as formally causing the distinct lawfulnesses which define the regions themselves. Thus it can be said that whatever matter is animated by some soul will show some emergent lawfulness, but it cannot be said (pace Donceel) that the presence of emergent lawfulness X proves that the soul in question is capable of no function higher than X. In other words, the philosopher, when confronting living matter and observing that it does not appear to be sentient or conscious, is not entitled to conclude from those observations alone that the life in question is only vegetative life. Otherwise, a severely retarded person, infant or adult, would have to be adjudged “sentient life.” Similarly, an examination of my liver would lead my physician to conclude either that I am vegetative life or, what is equally false, that my liver is vegetative life. On the contrary, a Thomist must hold that a human being, no matter how retarded, has a rational soul and that a man’s liver is just as much animated by that rational soul as is his cerebral cortex. Once again, the Thomistic teaching which Donceel has overlooked is that the higher substantial forms (a) include all the functions of the lower forms as well as those peculiar to the higher and (b) need not manifest the higher functions in some one part of matter they inform, nor, indeed, in any part at any one time. If we drop biological considerations altogether and enter the realm of pure metaphysics, we may suggest that a being can, through its own activity (with the “help” of an Absolute Being), transcend its own limitations and achieve a higher level of being. If we like, we may call such self-transcendence “evolution”. We may then say that the very nature of existence is such that creatures can do this. On these suppositions, a vegetative organism could rise in steady stages and finally achieve humanity. There would be no further need to look for a cause of fetal development, since (through the Absolute Being) the fetus itself would be the cause of its own auto-transcendence — not via genetic change vut via ontological leaps, of which the biological evidence would be just that — evidence (not cause) of a fait accompli. Some such position seems to be the final resort of Donceel, as he tries to explain what happens in the womb. He takes this position from his own master, the celebrated Austrian Jesuit, Karl Rahner, who has explained it, so to speak, in his book Hominisation, pp. 80ff., and in at least two articles, “Christology within an Evolutionary Conception of the World,” Theological Investigations, vol. V, and “The Unity of Spirit and Matter in the Christian Understanding of Faith,” ibid, vol. VI. Donceel writes: “Where are we to look for the cause of [embryonic development]? My preference goes to the theory delineated first by Teilhard de Chardin and worked out in detail by Karl Rahner. In embryogeny a new being comes into existence. But being can be caused only by the Supreme Being. In a hitherto unpublished manuscript Teilhard suggested that besides the notion of creating (making out of nothing) and that of transformation (modifying that which exists), we should have the intermediary concept of creative transformation, by which that which exists is enabled to produce new beings. Rahner has worked this theory out in considerable detail, and explains how God enables the secondary causes to transcend their own causality, without becoming a constituent of their being. In this conception the creatures are more than instrumental, less than material causes for God… Thus what happens in embryogeny is nothing but ongoing creation” (TS. pp.84-5). To the uninitiated, it must appear that Donceel is talking about miracles, or at least some sort of divine “intervention”. But this, he says, is not the case. The hominisation of the fetus must be understood, he writes, “not in the sense of categorical intervention of God into the processes of nature but in the sense that God, by causing the parents to transcend their own powers, is, together with the parents, the cause of this soul” (TS. p.83). So, somehow we are to understand that the divine act of causing creatures to transcend their own powers is not itself an intervention and does not appear in the “categorical” framework of events occuring in space-time. That is, God’s causality here is purely “transcendental,” so that from an empirico-scientific point of view, the evolutionary jump is purely the creature’s own doing. This is important to grasp, because it prevents one from setting aside Donceel’s position as though it were a purely religious solution. Rather, we are dealing with a philosophical argument — one that is widely accepted, by the way, in Jesuit circles. In order to meet it, we must go to its source in the metaphysics of Karl Rahner. This metaphysics, as Donceel himself suggests, is (among other things) an attempt to say competently what Teilhard said incompetently. Rahner is aware that Thomism has an air-tight case against evolution if we mean by that word what is conventionally meant, namely, the appearance of new and ontologically superior species from older, ontologically inferior ones through the “causality” of random genetic mutation plus environment. Against this notion, traditional metaphysics makes the obviously sound objection that omne agens agit sui simile. That is, a cause cannot produce an effect superior to itself. For this reason, there is no validity whatever to the inference that because a scientist can synthesize living protoplasm in a test-tube, therefore chemicals combining randomly in a godless universe can do the same. The inference ignores the scientist’s intelligence as itself a causal factor in the experiment. Faced with the fossil evidence, however, neo-Thomists have moved in two ways to “save the appearances”. One way has been to adopt the position classically misnamed “theistic evolution.” I say ‘misnamed’ because this theory replaces the notion that lower animals can become higher ones with the altogether different (and unexceptionable) notion that God can make higher creatures out of lower ones (as matter ex and in quo). On this showing, there is no such thing as evolution at all, only a fossil record which creates an appearance by which naturalists have been misled. But this theory posits real interventions of divine efficient causality in an otherwise stable nature. Hence, as we have seen, Donceel and Rahner must be talking about something else. The second approach has been to grant that new species do arise by natural causes but to deny that the new species are in any way superior ontologically to the old ones. This position discards or at least re-interprets the Medieval notion of species as rungs on the ladder of being, with its corollary that every empirical species must be “higher” or “lower” than the others. Rather, the new position preserves only the bare-bones hierarchy of non-living matter, life-forms, and man within the universe of material beings. (Some authors, of course, would expand the list by subordinating plants to animals; others would posit an ontological jump between each phylum.) This position has the merit of recognizing what seems certain in modern genetics, namely that mutations do occur and can produce new species. It also recognizes that the hundreds of thousands of biological species now known and classified do not, except in broadest outline, fit into any vertical scheme of ascending ontological perfections. How, really, is a dog superior in being to a cat? Or a canary to a lobster? Thus a great deal of what is conventionally called “evolution” and is mythologized in terms of cosmic progress can be de-mythologized and accepted as horizontal differentiation. Nevertheless, this explanation remains at best partial because there are at least two points at which some genuine ontological ascent must be reckoned with: the appearance of life itself, and the appearance of man. Indeed, Donceel and Rahner seem to make “hominization” the touchstone of their theory of “evolution”, whence it follows that they cannot be talking about this second approach either. What remains? Well, in fact, two possibilities. One would be a new metaphysics of causality; the other, a new metaphysics of the creator-creature relationship. It is in both directions that Donceel, following Rahner, seems to move. active, entitative auto-transcendence: the change from an inferior essence to a superior one is a progression in being, something that occurs precisely in being as being. Now, what Rahner is saying is not so difficult as it may seem. He is simply saying that the power to evolve is truly present in the finite creature but is not an element in that creature’s essence (which is exactly what makes it finite, according to Rahner). In other words, he is speaking of the real distinction between essence and existence, and he is locating the power to evolve on the side of existence. “Since every finite causality works in virtue of the absolute being within the finite and this always and essentially, so that the finite being has its own being and activity precisely through the existence of the absolute being within it, we can and must grant causality to the finite being; even causality for what is more than itself and towards which it surpasses itself, Within these metaphysical presuppositions, and given certain precisions, it can be said without qualms that a finite being can bring about more than it is” (Theological Investigations VI, p.175). Thus two things are quite clear. (1) Rahner is not talking about a sudden and momentary invasion by the absolute into a particular finite creature whereby that creature is temporarily enabled to “transcend” itself. He is talking about a permanent, necessary, and universal aspect of the creator-creature relationship. (2) Rahner is not talking about an interiority to the creature of divine efficient causality alone. For, in that case, the cooperation of the divine and finite causes would have to be such that the divine cause is principal and the finite cause, instrumental. Whereupon, the effect produced could hardly be an entitative auto-transcendence, if the creature is supposed to be its active co-cause, since (as Rahner is certainly aware), there is no such thing as an instrumental cause of being (Summa Theol. I, 45, a.5). (Donceel also was quick to note that the creature is “more than” an instrumental cause, see above, p.7) Therefore, Rahner is talking about something more. The power to evolve is “interior to” every creature, he says, because the “absolute being” is interior to it. Thus the interiority in question is an interiority of existence. A few words of background should make these points clearer. We say, “John is.” Then we ask, “What is John?” The answer: human (essence). Then we ask, “What is ‘is’?” We may summarize the answer of Thomistic metaphysics by saying that “is” is the act of being or existence (esse), the principle by which (quo) a being (ens) is. Thus John is, and Mary is, but “is” is neither John nor Mary, since Tom also “is.” Neither is “is” human nature, since non- human things also “are.” So, existence is not a thing or a class of things; it is neither a species nor a genus. In other words, existence has no essence but rather is that by which essences, or rather the things which have essences, are. On the other hand, essence determines and limits existence. The existence which John has is not just any existence, and it certainly isn’t all existence. It is just his existence — not Mary’s, not a stone’s, and not God’s. Unicuique est proprium esse, insists St. Thomas (Contra Gentiles I, 52). Moreover, John’s existence is exhausted, so to speak, in making him be. There is none “left over”. In other words, a creature’s existence is limited by his essence, just as an act is limited by the potentiality which receives it (De Potentia q. 7, a. 2 ad 9). The only being which exists is the Being of God. But the Being of God is not the being of creatures. In the light of these reflections, we can return to Rahner’s thesis and notice a disturbing feature. Rahner says that this power of auto-transcendence (or power to evolve) is “interior to” creatures because the “absolute being” (Existence) is interior to them. But existence is not “in” in a creature like a part in a whole or a jack in a box. Existence can only be “in” things as existence, that is, as pure actuation, as that which wakes them be. Hence we are faced with a question; can an “absolute plenitude of being” enter into, that is, actuate a finite creature? Instead of saying, “no,” let me state the alternatives. If the esse which is actuating men makes available to me a richness of being which transcends the virtualities of my essence, then it follows that my esse has a surplus which is not, here and now, actuating we (that is, me as what I am and hence can do). But where is this surplus? If it inheres in me (as an ens actuated by esse), then it follows that I aw both what I aw and more than I am at the same time and in the same respect. Which is contradictory. Or else, if it inheres in my esse as such, it follows that my esse is subsistent and hence is God. Which is Pantheism. There are no further alternatives. If one creature’s act of being subsisted, it would necessarily have to be the only subsistent act of being. For, as St. Thomas says, if there were a subsistent fire, it would have to be the only subsistent fire. However, the esse of a given creature is the act of being of that creature, and not of another. Hence the other creature would not exist, or else could exist only through participation in the being of the first creature, which would then be God. Essence, as the potency receiving esse, is determinative with respect to esse. Therefore, anything that entered into composition with subsistent being (that is, with God), would determine God by positing a limit (finite essence) for Him — which is impossible. (Thus Donceel was quick to say that the creature is “less than” a material cause for God, above p. 7) If this difficulty is evaded by saying that subsistent being can be communicated to a creature merely terminatively, as pure actuation, it would follow that that creature would have the same relation to God as the human nature of Christ has to the esse personale of the Word. And hence it would follow that that thing is just as divine as Christ. Hence there would be no reason why Christ should be any more adored than a dung-heap. This final position is philosophically tenable, in other words, but blasphemous. 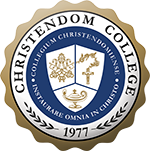 “In fact the whole of Christology could be seen as the unique and most radical realization of the basic relationship of God to what is other than himself, measured by which all else in creation would be only a deficient mode, fading away into indistinctness; it would be the sharpest realization of this basic relationship, which lies in the self-alienation of the God who remains with himself and thereby radically unchanged” (Theological Investigations I, p. 176). “Our first material insight, that being is being-present-to- itself or self-luminosity, now becomes a formal thesis, that the degree of being-present-to-itself or self-luminosity (“subjectivity”), corresponds to the manner of potency of being. This is the manner in which being is attributable as understanding of being to a thing which is, and in which, therefore, this thing which is “has” being. Conversely, the degree of “having being” manifests itself in the degree in which the appropriate thing which is, is able to turn back on itself, that is, in the degree to which is is possible for it to be reflected in itself, to be illumined by itself and in this sense to be present to itself… This attribution of being itself is an interiorly variable quantity” (pp. 46-7). “What we call material has always been seen, at least in thomistic philosophy (sic! ), as a limited and in a sense ‘frozen’ spirit, as limited being whose being as such… is exactly the same being which outside such a limitation means being-conscious-of-itself, knowledge, freedom, and transcendence towards God. This limitation in material being, of course, its not-becoming-conscious-of-itself in transcendence towards absolute being, is of a metaphysical kind that is constitutive of the essence. Its (the material being’s) action moves, therefore, on the ground of this negativity, a negativity which consequently can never be overcome by this being itself… This unlimiting of the limited (called matter), however, does happen in the spirit. In other words, matter is spiritual insofar as it is (has being) and nonspiritual only insofar as it is not (has essence)! A more complete misapprehension of being, especially the being of creatures, could not be imagined. For, if essences, are merely limits, it will follow that God has no essence, since he is unlimited. (Thus Rahner frequently refers to God as “supra-essential being”.) Now, a God who is pure Existence but: is no Essence is either something or nothing. In order to avoid making him nothing, it becomes necessary to make existence itself “something”. Whereupon either of two things must follow; (a) existence becomes an equivocal term, referring to one “thing” in God and to an altogether different “thing” or “things” in creatures, with metaphysical pluralism and atheism as the inevitable results (atheism, because if existence is equivocal, absolutely nothing can be predicated of God), or (b) existence becomes a univocal term, “something” common to God and creatures, with monism and pantheism as the inevitable results. In Thomism, on the other hand, neither of these alternatives makes any sense at all. Esse is neither the same nor other, since sameness and otherness apply only to the order of essence. Esse autem in quantum est esse non potest esse diversum (Comm. in Boeth. de Trinitate II, 52). Similarly in Thomism, since being is not a form, nor an essence, nor a genus, it admits neither a contrary nor a deficiency: unde enti non potest aliquid opponi per modum contrarietatis vel privationis, sed solum per modum negationis (In I Sent. dist. 19, q. 5, a. 1, ad 8). Hence a thing either is or is not; it cannot be by degrees, Therefore, to say that all things are through a terminative communication of subsistent being is to say that all things are “equally” formally divine and to worship dung=heaps. And since Fr. Rahner’s and Fr. Donceel’s notion of active, entitative auto-transcendence is admittedly impossible unless all creatures are actuated by absolute or subsistent being, we must reject their notion as blasphemous in the one and only sense in which it is not philosophically absurd. In conclusion, Donceel is left with no coherent explanation of fetal development whatsoever, unless we are prepared, as he apparently is, to live in a metaphysically proletarianized universe in which vegetables turn into people because all things groan inwardly, chafing against the frozenness of matter and the negativity of essence into which God has unaccountably alienated them, a universe in which, all beings through auto-transcendence rise up to seize as booty that divinity which is, as beings, their natural bent and endowment, a universe, finally, in which the Creator is the ultimate (because the ontological) Oppressor.